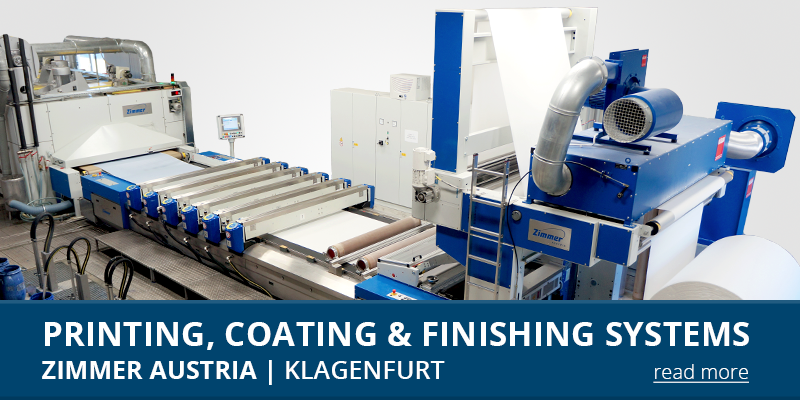 With production sites in Klagenfurt and Kufstein, ZIMMER AUSTRIA is a worldwide leader among the producers of machines for textile and carpet finishing (digital printing systems, flat screen and rotary screen printing, coating systems, steaming, washing, drying). 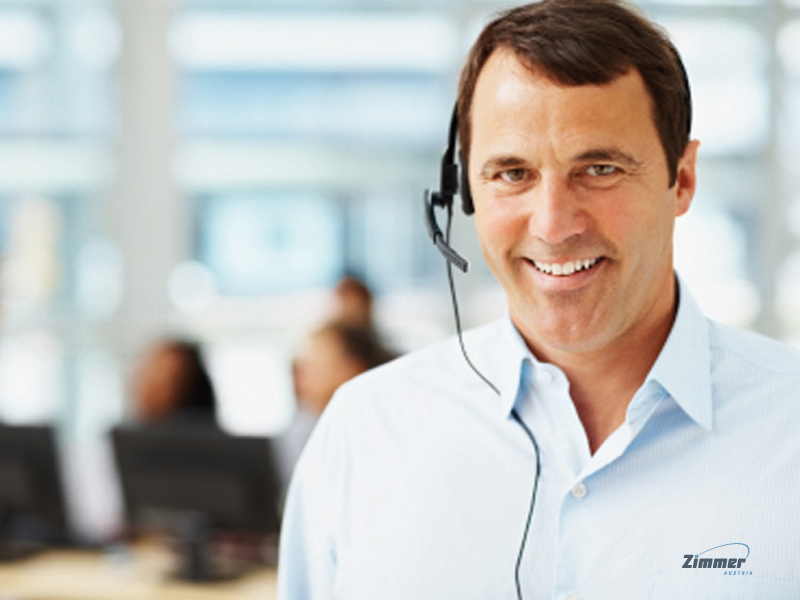 ZIMMER AUSTRIA reaches even the most distant markets and supplies all around the globe owing to a strong and well-developed agent network and cooperation with independent sales and service companies ZIMMER AUSTRIA INC. and ZIMMER CHINA. „First in Quality" and „First in Service"
ZIMMER AUSTRIA has been committed to this motto constantly for more than 140 years. 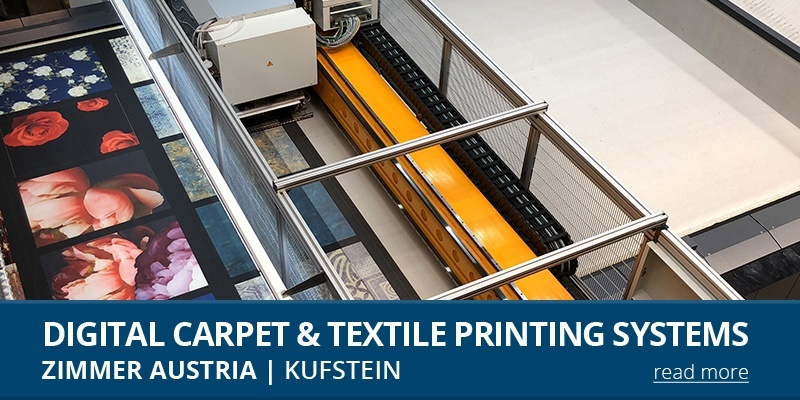 A lot of inventions, innovations and improvements for the textile printing industry have been accomplished by Zimmer during this long and successful period.